This Chakra Fertility Bracelet from The Fertile Garden has a particular combination of stones which may be very powerful for positivity, conception and keeping a healthy pregnancy. Also is great for the newly pregnant, might help prevent miscarriage. Green jade is a heart chakra stone, a protective stone, Jade may keep the wearer from harm and brings harmony. It is known as a powerful emotional balancer. Jade may bring peace, wisdom, unconditional love. Jade may possibly bring good luck and fortune. Amethyst is known as the stone of spirituality, it may help with cleansing and purification. It may help absorb negativity and prevent negative energy, while drawing in positive energy. It may boost production of hormones and peace of mind. Amethyst may help convey a positive self image, self love and empowerment. It is known to connect heart and crown chakras and may help balance ones emotions. I occasionally have to substitute different bead caps or clasp on bracelets. See all success stories here! "I bought two fertility bracelets from you around April-May area. One for me, one for my best friend. After wearing them only one cycle, we both got pregnant! We're both entering into our second trimester soon, and I really just wanted to say thank you for such a marvelous product. I'm definitely keeping mine for when it's time to expand the family once again. 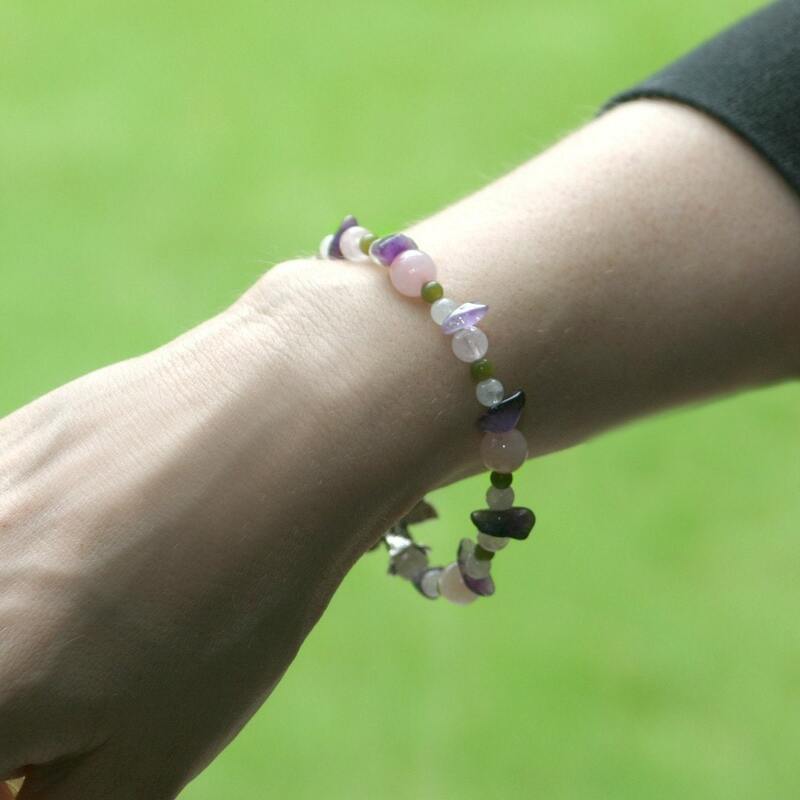 "I ordered the bracelet after suffering from a miscarriage and being unsuccessful in falling pregnant again. Within a few days of placing the order I ovulated and fell pregnant straight away. I don't know whether it was the positivity and hope I regained from wearing the bracelet or not but either way it was my lucky month! I'm now 11 weeks pregnant and still wear the bracelet. Kind touches added to the packaging would certainly recommend to anyone who has lost hope! Thank you :) "
"Found out I was 6 weeks pregnant August 30, 2011 and I just gave birth to our beautiful baby girl named Addison on April 21st, 2012!!!! =) "
"My friend got me a bracelet from your shop when I was going through IVF and I now have a 10 month old daughter. This is the second bracelet that I have purchased for friends." Shipped on time, and looks just like the picture. I really love the clasp, very easy to take on and off. Must have worked, because I'm 6 weeks pregnant!